This program is for Peewee-aged players with three years hockey experience and focusses on maximizing each player's successes and natural abilities while developing a strong skill set whether he/she be a forward or defenseman and is designed to prepare them for the remainder of the seaon, the playoffs, and spring hockey. 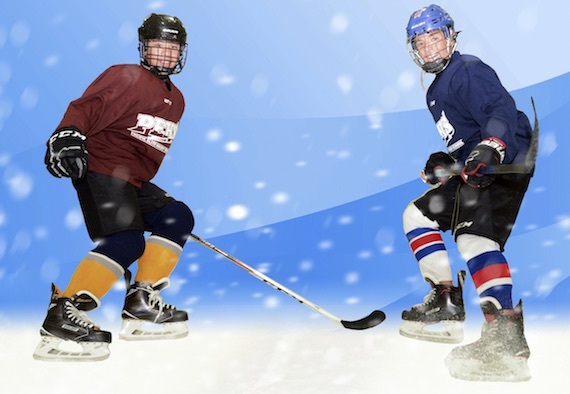 Coach Glenn, along with his nationally accredited and certified coaches will be on ice at all sessions to provide hard-working, individualized and group training, teaching and correcting along with strong motivation and encouragement. All necessary tools to have in your tool shed during the Playoff Run. Power play responsibilities and opportunities. Our in-season, adanced program offers a vibrant and exciting learning experience with a strong on ice discipline while providing hands-on individual advanced level training, making sure to offer praise for results achieved. We will develop this already accomplished player's abilities so as to affect his Game Playing results by working on his/her scoring, both goals and assists, on-ice positioning and dominance while playing with team-mates and against opponents. He/she will become a higher profile player capable of scoring or setting up the big goal when the game is on the line.